University of Washington senior and Black Student Union (BSU) vice president for communications Tracy Hansen-Lamont referenced a quote by one of his heroes, Malcolm X, when addressing the faculty, staff, and students in attendance at BSU’s “Men Promoting Change” event at Parrington Hall, Nov. 15. 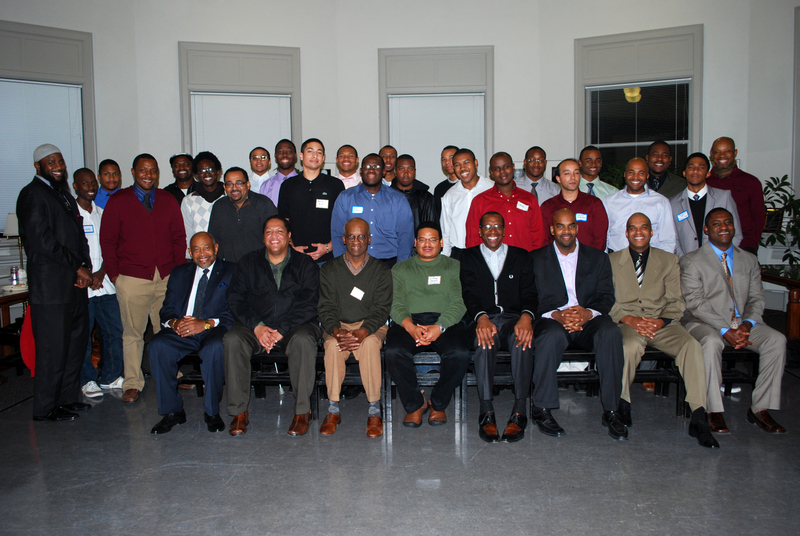 In its second year, the event aims to build relationships between African-American male students and African-American male campus leaders and other mentors through networking activities and discussions. 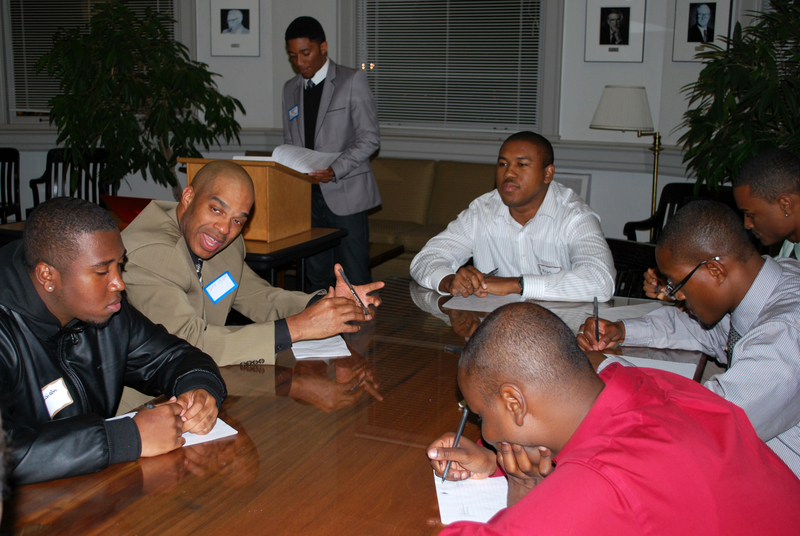 By participating, students have the opportunity to learn from and strengthen connections with male role models. Joining Hansen-Lamont in facilitating the two-hour event was Jordan Dacres-Wong, BSU vice president for community affairs. Pitre and Ed Taylor, vice provost and dean for Undergraduate Academic Affairs, represented the faculty and staff with remarks. Students were also able to engage in a networking activity with faculty and staff during which they received advice about overcoming obstacles. In addition to Pitre and Taylor, UW faculty and staff in attendance were Raphael Chillious (Department of Intercollegiate Athletics/Men’s Basketball), William Covington (Law), Jarman Hauser (College of Engineering), James Flowers (Office of Student Financial Aid), Joe Lott (College of Education), George E. Sanders (Comparative Medicine), John Vinson (UW Chief of Police) and Craig Wilson (UW Police lieutenant).